When I go home to St. Louis, I like to make dinner for my parents. I know how hard they work, and how they feel like they don’t have time to slow down and make a good, wholesome meal. So I do my best to treat them to something delicious. The hard part, though, is figuring out something they’ll like. My parents don’t stick to a preservative-free, whole food regimen like I do. In fact, they’re a little skeptical of how I eat, but this only fuels my desire to make them a healthy meal that impresses. For my dad, a self-proclaimed Mexican beer and taco junkie, I wanted to introduce him to something new, but something I knew he’d like. I knew he had never heard of quinoa, and I also knew that he’d like anything with a little spice and Caribbean zest. I was a little nervous, but it went over very well. Father dear was entertained by the structure of the ancient grain, and liked that it was so high in protein. 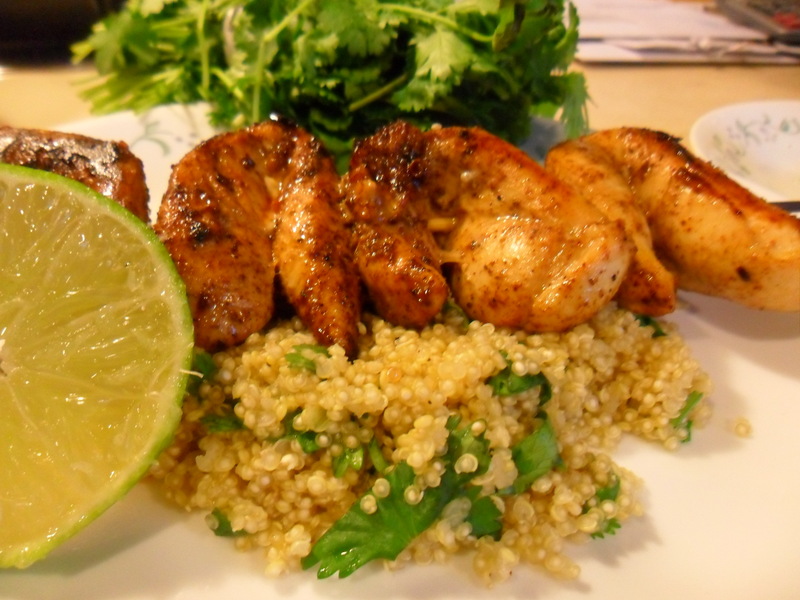 He also loved what I paired the quinoa with: skewered Jamaican chicken. 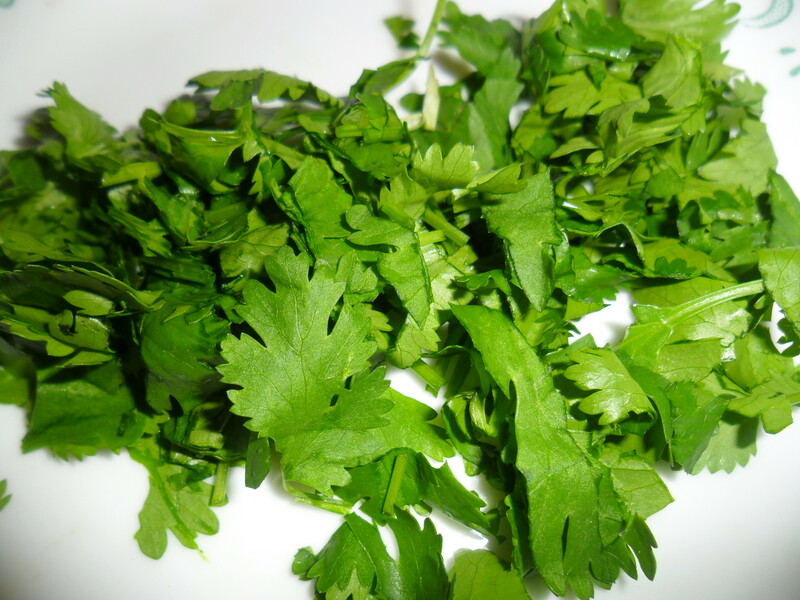 -Combine all spices and olive oil in a medium bowl. Mix well. Cover chicken in the mix and leave in the bowl to marinate for as long as you like. Turn the oven broilers on high when you’re almost ready to make the chicken. -Meanwhile bring chicken stock to a quick boil, and then add in quinoa. Continue to boil until most of the chicken stock has been absorbed, but leave some for the quinoa to simmer in (about 10-15 minutes). -Once the quinoa has simmered long enough that almost all the chicken stock is gone, squeeze in lime juice. At this point, you’ll probably want to skewer the chicken, place on lightly greased, broil-safe pan, and broil for about 8-9 minutes (turning halfway). 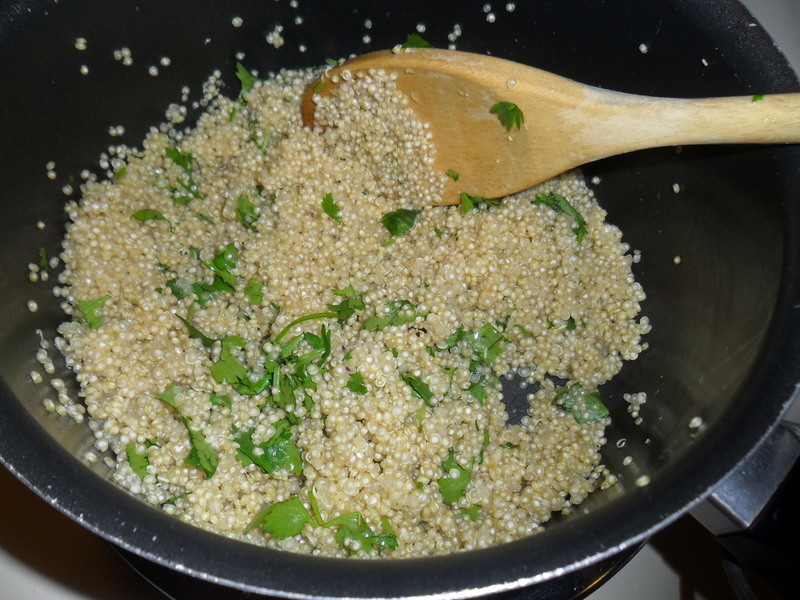 -To serve, toss the cilantro in warm quinoa. Plate the quinoa and then place the chicken skewer over the top.